We all use digital, but it’s still nice to have real photo prints around the home! 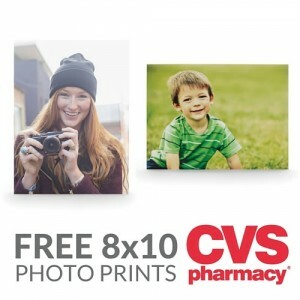 Here’s your chance to get a FREE 8×10 Photo Print ($3.99 value) at CVS! To get your print, just Download the CVS app - it’s free! – then add 8×10 Photo Print ($3.99 value) to your cart and enter this promo code: CVSAPP. The code makes it free with free in store pickup. The offer expires September 17, so please hurry! Note: This offer may be available to select users.